For some reason i can no longer save out my photos or videos from Medium. Whoops! That's not good. Could you send over your logs from C:\Users\username\AppData\LocalLow\Oculus\Medium\log to [email protected]? Possible you're using a Window's username that has special characters? Or your Oculus username has a period in it? yes i did that just now, sorry for the late reply. also I getting very bag frame drop. did you receive my log file? Yes, I did. I think you should delete your entire Preferences folder at C:\Users\username\Documents\Medium\Preferences, and then restart Medium to see if you can start writing out assets. If not, I also wonder - are you using a Windows username that has special characters in it? We've seen this happen in that situation. As for the frame drop, that's very intriguing. What are you doing when you drop frames? We haven't tested with a 2080 yet but we'll look into it. Actually: we're confused by your system specs. 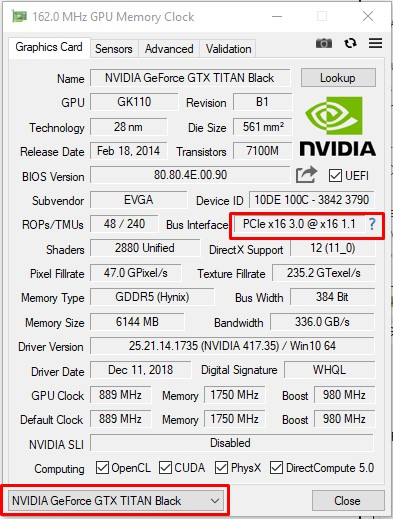 Do you have a Titan Black, or a 2080 GPU? It makes a big difference as the former is a 700 series. what am i doing to get drop frames - just stand around think I spent $700 on this GPU and I still dropping frames than Trump drop tweets. My Oculus Rift is glitch beyond belief, I have no idea way, I have re install Oculus app and tried the Repair option. The glitching, frame dropping, stuttering what ever you want o call if it completely off putting and runs my experience to a point where i just don't use it any more. It used to run fine with my titan black last year ( medium ran smooth like butter ) the occasionally stutter here and there. Now it's dropping more frames than ever, connected to my TRX 2080! I cant even draw a straight line in Medium with outha glitch! 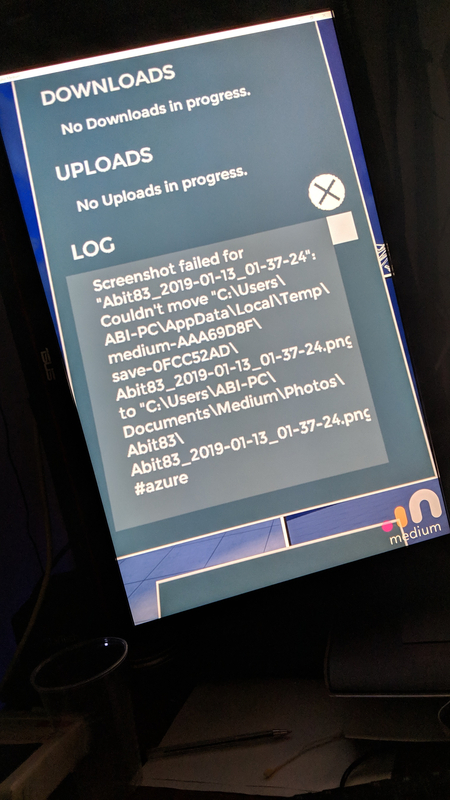 Plus I also see some sort of error message in medium when trying to save my vr photos? I have attached some files to help you debug my problem. @Abit83, I hear you and am sorry that your system is having problems. 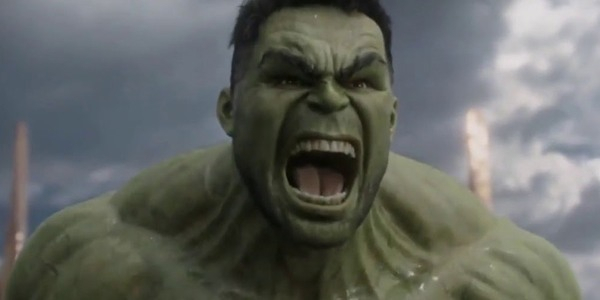 Medium works well with 2080's that other users have (and we had a 2080 tested internally too), so there is something else going on with your system that neither you nor I understand yet - your patience and understanding while we figure this out together would be appreciated. Because your logs aren't showing much information, we have to resort to asking questions. If you're game to work together to get you back on Medium, I am too. Have you deleted your Preferences folder? Can you try? What happened? Are you dropping frames for any other application? Yes, there were only 2 files inthei folder. I removed then reluanched writing error. 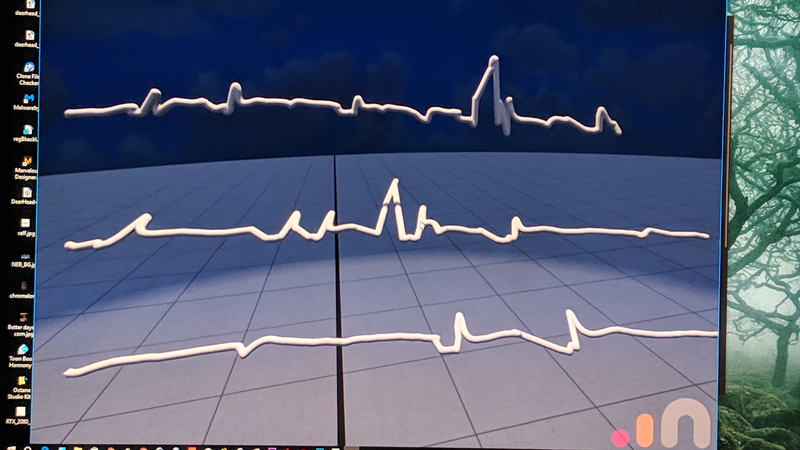 Frame drop in all VR areas, white space , lounge every where. as far as referencing when this problem started I'm pretty sure they were only slightly glitching with my Titan black card. But now with my RTX card I seems to be getting more heavier doses. 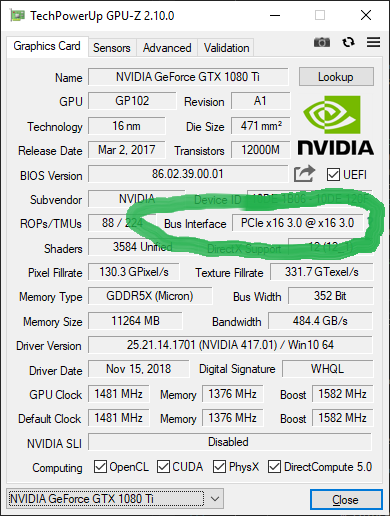 Could you verify that your GPU is using PCIExpress x16? From your description, it sounds like your new GPU may be using less than all 16 lanes. Medium is constantly streaming data across the PCIExpress bus as you sculpt, which uses a great deal of bus bandwidth. For example, in my desktop machine, I have two GPU's. 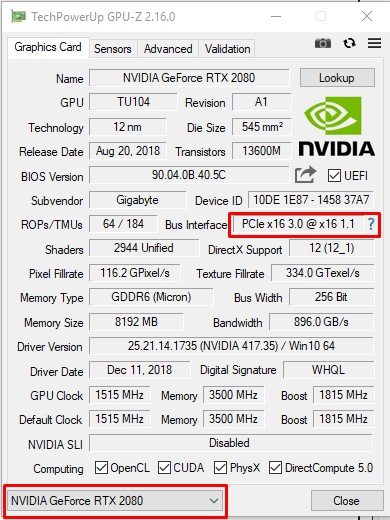 One GPU says "PCIe x16 3.0 @ x16 3.0". The other GPU, though, says "PCIe x16 [email protected] x4 1.1". Medium runs smoothly on the first, but the performance is very poor on the second. Download and run that. Look at "Bus Interface". It should say "PCIe x16 3.0 @x16 3.0". If it is using something less than x16, then Medium will be greatly impacted. We're looking into your screenshot #azure problem Abit!